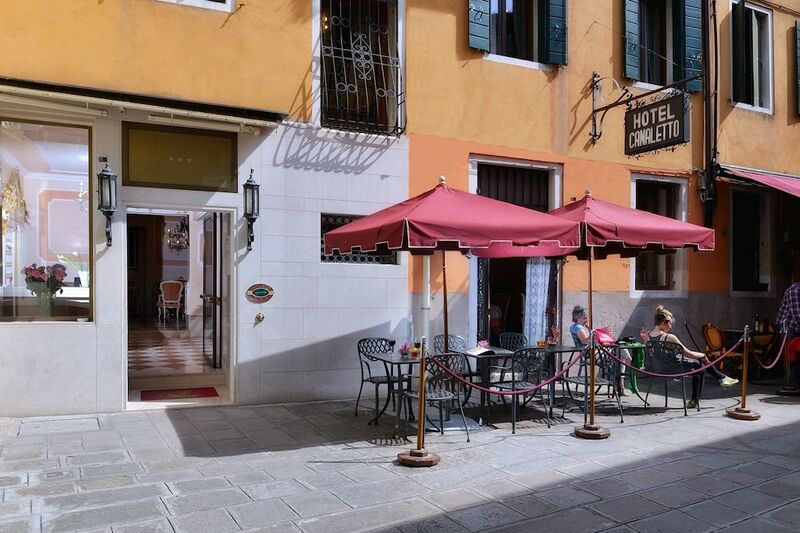 The Hotel Canaletto has a great location, at the very centre of Venice, in a quiet part of ​​town and just a few strides from the famous Rialto Bridge and St Mark’s Square. With the Canaletto as your base, you can walk to most of Venice’s attractions, its famous canals and beautiful squares. The Single has beautiful decor and Venetian furniture. Apart from a single bed, there is air conditioning, a safe, a desk, Cable TV, a minibar and an ensuite bathroom. Noted for its space and attractive décor, the Double has all of the above single room facilities but with view of the adjacent square. The spacious Superior Room has a luxurious Venetian-style décor that will grab your attention! Besides all the above amenities, this room overlooks the canal! Wi-Fi internet access is available in rooms and hotel public areas for an additional charge. The Reception area can help you with car rental, tickets for tourist attractions and other useful information for your Venetian trip.